Create the ideal room using wall coverings! Wall covering and painting appear similar on the surface. However, when you delve deeper into the specifics of each, they become more and more distinguished from one another. As such, if you desire wall coverings installed such as wallpaper, it is ideal to hire a professional to ensure that the job is done properly. Ideally, if you are looking for a professional you want someone with experience and a good reputation within the community. A great resource for finding the professional for your wall covering needs is to ask around. Ask your friends, family, and neighbors that have had wall coverings installed. Another good resource is to contact the Better Business Bureau to ensure that the professional you hire comes with a stellar resume. More often than not, you want to get estimates from a variety of professionals before you hire someone to install your wall coverings. With each bid, you want to make sure that you are getting comprehensive plans that outline the estimated project costs in detail. It may be beneficial to ask to see the portfolio of the professionals you are meeting with. This may give you a better idea as to their style and if it complements your tastes as well. In any bidding process, it is very tempting to always go with the lowest offer. However, when it comes to design and wall coverings it may be best to avoid going with the lowest bid just because it’s the cheapest. For example, a low bid from a professional could indicate their desperation, a missing feature, or lack of experience. Whatever the case may be, it is critical to take everything into account when deciding on a contractor for your wall covering needs. There are a ton of variables that accompany wall coverings. As such, you want to understand how much professional experience a contractor has before hiring them. In addition, you may be inclined to ask them about whether they continue their training and how often. 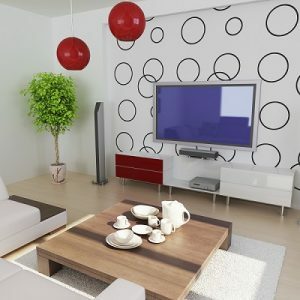 This can allow you to glean detailed information about them before you decide to hire them for your wall covering job.